Have you just upgraded to Windows 10? And found your Microsoft Edge won’t Open? You are not alone my friend. There are many people out there facing such issues with Microsoft Edge. However, you can always fix this problem and make complete use of Microsoft Edge. 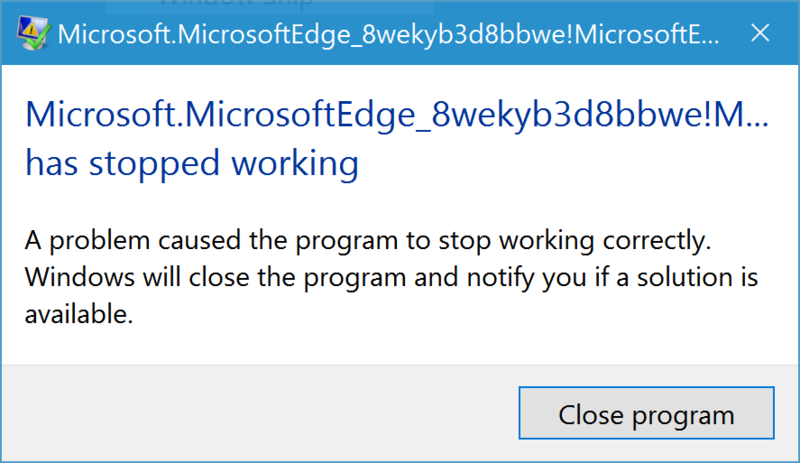 Go through my following article and fix all of your Microsoft Edge not opening problems. Microsoft may not launch due to several reasons. There can be a glitch in the software of your system or it can also be due to malware and bugs. When you make the attempts to launch the Microsoft Edge and apparently everything seems fine. But, after a few minutes, you realize there is an error as every sign of your Edge being launched disappears. In that case, it is hard to get it back even after you repeat your steps. Here I tried to provide as simple solutions as possible that can help you launch the Edge in your PC. First of all, run a full virus scan to make sure your PC is completely virus free. Virus scan will remove all the spyware as well as the infectious files or bot infections from your computer. A malware can hang or freeze your Windows PC. Hence resetting your Windows 10 PC can be a big problem. So open your anti-malware software and update it with the latest malware definitions. Then proceed to the scanning process. Then wait for a while to get the scanning completed. Now follow the on-screen instructions. While you are having a problem with Microsoft Edge, you should restart your PC firstly. For a better result, Clean Boot your PC. Try out the steps below to clean boot. At first, press the Windows logo key+R button at the same time on your keyboard. Then type ‘msconfig’ and hit the enter button. Navigate to the Services tab then and have a check on the box for Hiding all Microsoft Services. Now click on the Disable all button. Then find the Startup tab and hit the Open Task Manager option. Next, select all the items given on the list and click on Disable option. Now close Task Manager and restart your Windows 10 PC. Sometimes if you don’t have Microsoft Edge as your default browser, Microsoft Edge won’t open. Follow the steps below and change the default browser of your Windows 10 PC. Then type Default app settings. Now from the search result select the same Default app settings. Now select the Microsoft Edge Browser. Reinstallation of Microsoft Edge is also a great option to get rid of Microsoft Edge Not Opening problems. Give a try to these steps below and reinstall Microsoft Edge through Powershell. Firstly, press the Windows Key button+S button at a time on your keyboard. Now, type Powershell and right-click on the Windows Powershell option. Then click on Run as administrator option. A prompt will appear on the screen with the administrator problem. Hit the Yes button to continue the further process. Then a pop up will appear on your screen of Deployment Operation Progress. Wait for a few minutes to get the process to be finished. Now it’s time to try your Edge again. If the above solutions did not help you to resolve the Microsoft Edge won’t Open issue then you should look for an authentic Microsoft Support. Baba Support is one of the best technical support team which provides ideal and instant solutions for all Microsoft issues. You may get different technical support team globally but we are the finest among them. Usually, Microsoft issues are very difficult to resolve. But we have a crew of highly qualified and diligent engineers, for them, these issues are no more challenging to resolve. Also, we are specialized in providing remote services. So, without further delay place a call at Baba Support helpline number +1-800-917-0185. They will not only talk to you but also help you to get rid of your problem. If you are facing any network issue while placing a call, then you can use our live chat portal which is an ideal alternative to connect with us. You can chat with our tech support executives and ask for the solution. Also, you can drop a mail at info@babasupport.org. Our experts will get back to you with the most appropriate solutions.